Use discount code – KICKINGITWHOLESCHOOL for $10 off online orders on http://www.shopbioseaweedgel.ca/ until December 31, 2015. We were recently given the opportunity to test out and review Bio Seaweed Gel’s new Uptown Lights Summer 2015 collection and we are very excited to share our experience because Bio Seaweed Gel is free of the ‘5 big nasties’: formaldehyde, toluene, DBP, BHA and solvents. Several traditional nail or gel polish brands have some or all of those chemicals so this brand is a healthier gel alternative for those looking for one. We prefer 5-free polishes because you avoid exposing your body to these harmful chemicals, while also preventing nail dehydration, staining and weakening. We also loved this collection because the gels are all UNITY Colours, which means it’s a base, colour and top coat all in one and you don’t need to have or use a UV/LED lamp to set them. Instead, you can cure the gel with sunlight! We had used their 3STEP Colour products before, (which requires a UV/LED lamp), and loved them, but this was our first time using the Unity range. Blendily Gift Card Giveaway in partnership with Loam Magazine! We are SO excited to announce this Instagram Giveaway, in partnership with Loam Magazine and Blendily, a natural cosmetics kitchen that offers beauty products that are hand-crafted in small batches with pure ingredients. 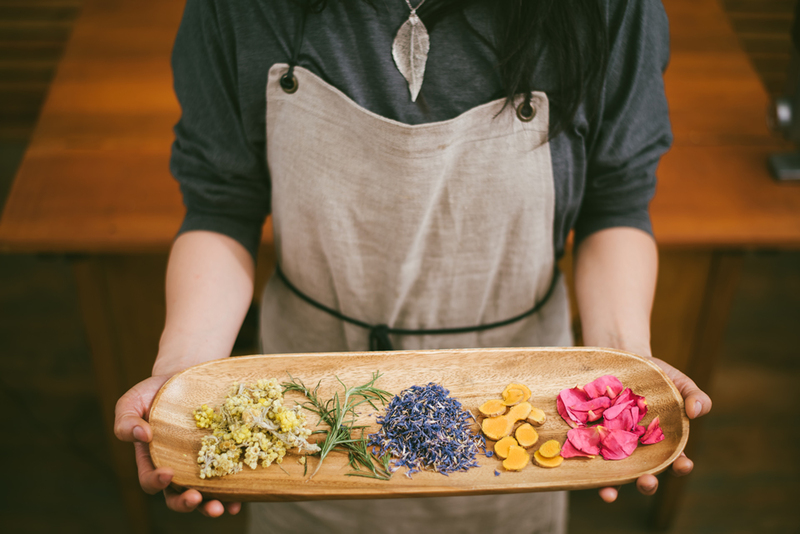 They feature local and seasonal herbs and plants as well as sustainably harvested exotic botanicals. Not only are we partnering with these two great brands to giveaway three $25.00 gift cards, we are also planning on some other exciting projects with Loam Magazine. For more details or to read their awesome write up about us, click here. Want to be entered for a chance to win? To enter, just follow each of us on Instagram (click on the image above to take you to the post) and let us know in the Instagram comments one of your favourite short and sweet ways to take care of yourself and the earth! We’ll choose winners at random next week. Best of luck from all of us and stay tuned for more from us and Loam Magazine! Another month over and another Petit Vour box to review! Last month’s subscription box was good, but this one was way better. I’m excited to share my thoughts on April’s all-natural and cruelty free products!